In contrast to our usual waffle this experiment blog post is going to be heavy on photos and low on word count, so let’s see how it goes. While visiting Belgium a couple of weeks ago I was lucky enough to spend an enjoyable few hours at the wonderfully impressive Aquarium of Brussels. 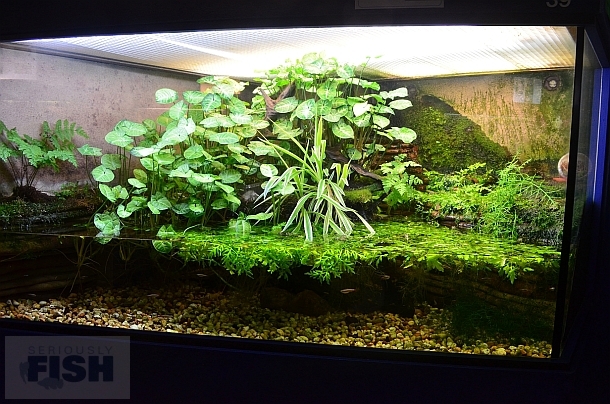 It’s possibly the cleanest such set up I’ve ever seen, and puts many zoos and larger ‘chain’-style public aquaria to shame. 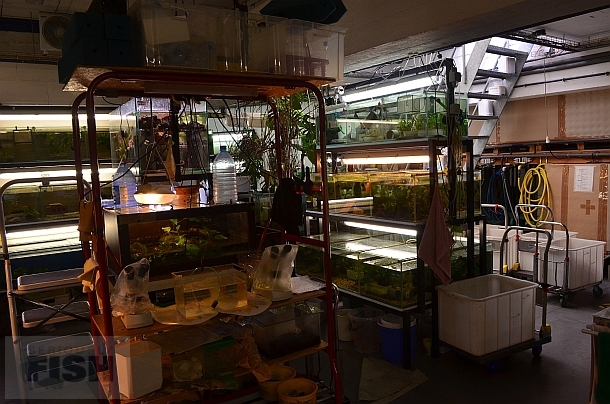 Cooler still, the vast majority of installations are dedicated to freshwater fish and amphibians with a number of rare and endangered species among them. 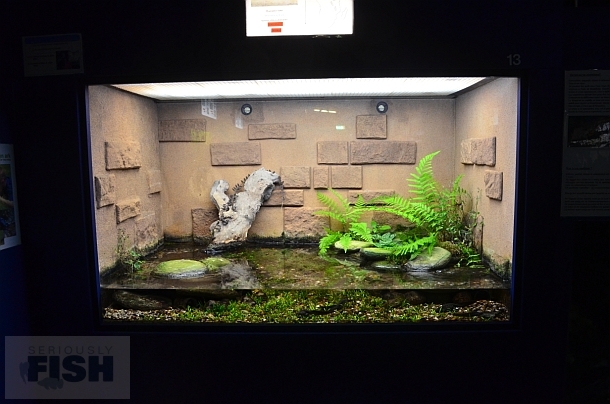 They also have an off-public area which is equally as spotless as the main displays and lots more endangered fish are being bred and raised there. Bedotia sp. ‘Namorona’ is an undescribed (and huge!) 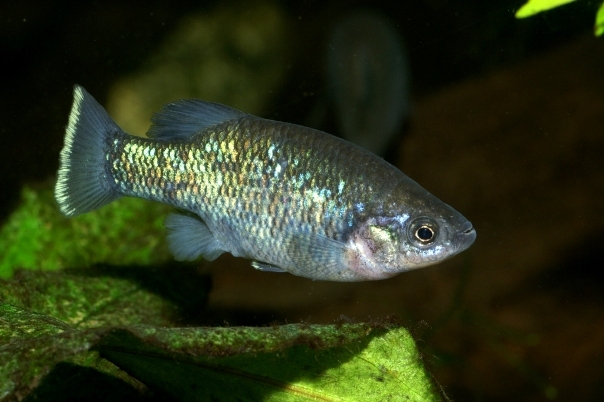 species restricted to parts of the Namorona River, also in Madagascar. The zoo are having trouble breeding these so any tips would be much appreciated. Malagasy display with Bedotia sp. 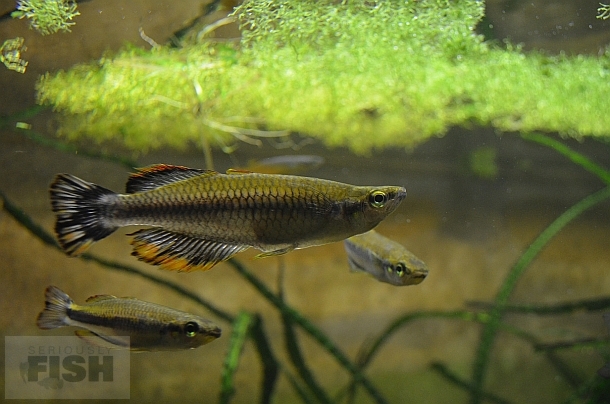 ‘Namorona’, the killifish Pachypanchax sakaramyi and Ptychochromis oligacanthus. Fundulopanchax display – great to see killis getting some attention. …speaking of which. 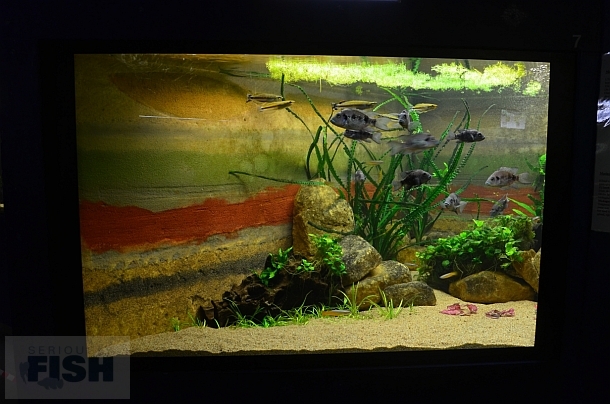 Here’s one of the ‘backstage’ area tanks with the goodeid Ilyodon furcidens. Goodeids, newts and poison frogs, all breeding at the aquarium. 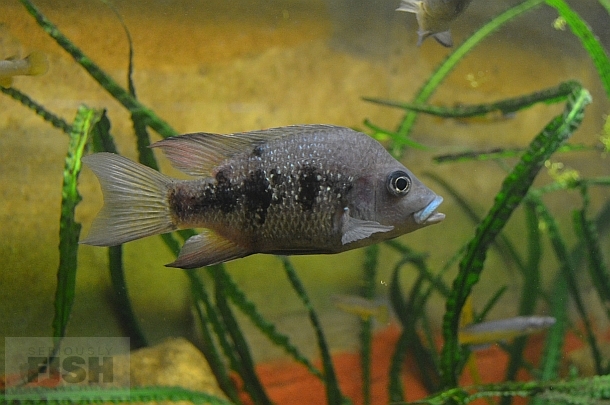 More Ptychochromis oligacanthus. 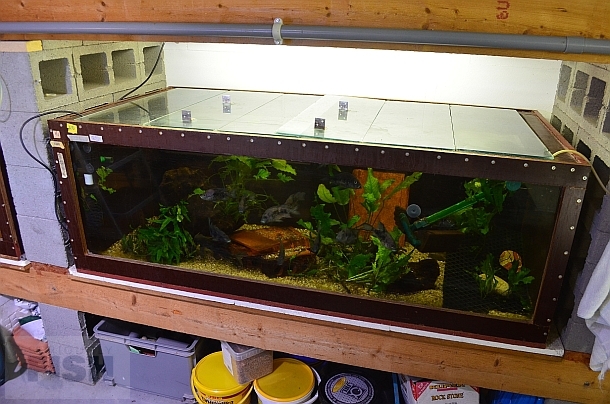 The tank itself is interesting as like all of those at the aquarium it’s made of a type of marine wood with a glass front panel. 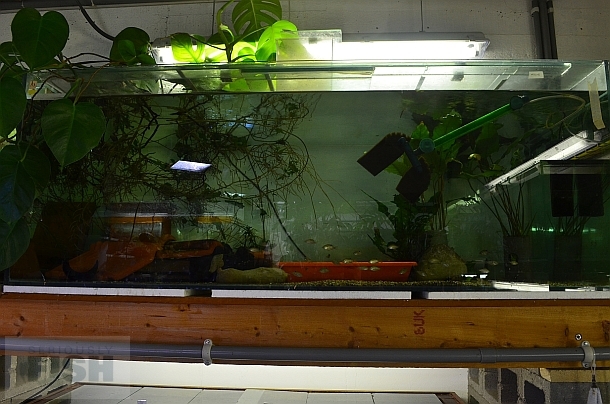 Quarantine for future display fish. 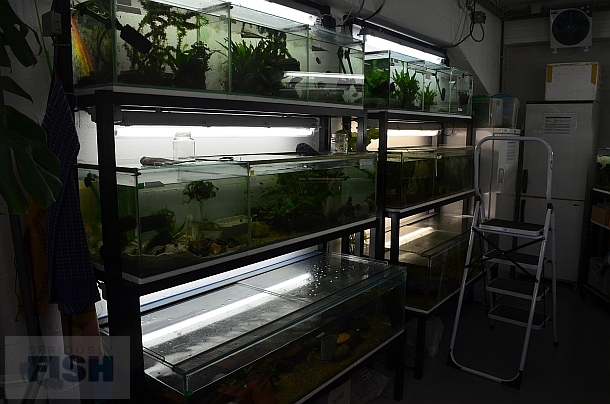 Breeding and raising tanks for endangered species containing the Corfu killifishValencia letourneuxi, various cichlids, Melanotaenia spp., goodeids, etc. This area must require as much upkeep as the display area to maintain these standards and the whole set-up is a massive credit to the managers and staff. Back in the main aquarium, this display contained endangered goodeids. Finally, a lovely little paludarium housing a breeding population of the Oriental fire-bellied toad, Bombina orientalis plus some White Cloud Mountain minnows in the water. Aside from the standard of husbandry and attention to detail on display there were other things to admire here. 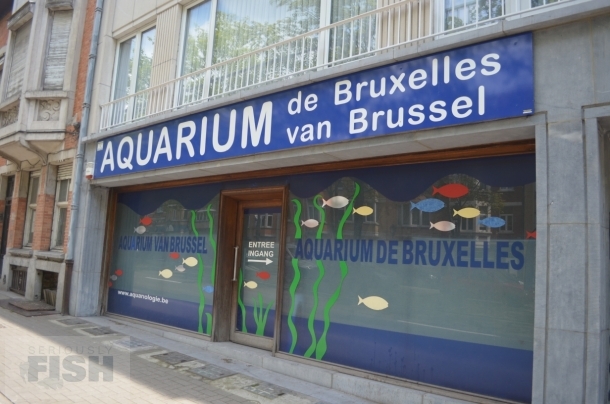 For example, this is a relatively small, low budget project funded by the Belgian National Lottery, yet is Brussels’ only public aquarium and on a Saturday afternoon was busy with a number of larger kids’ groups inside. 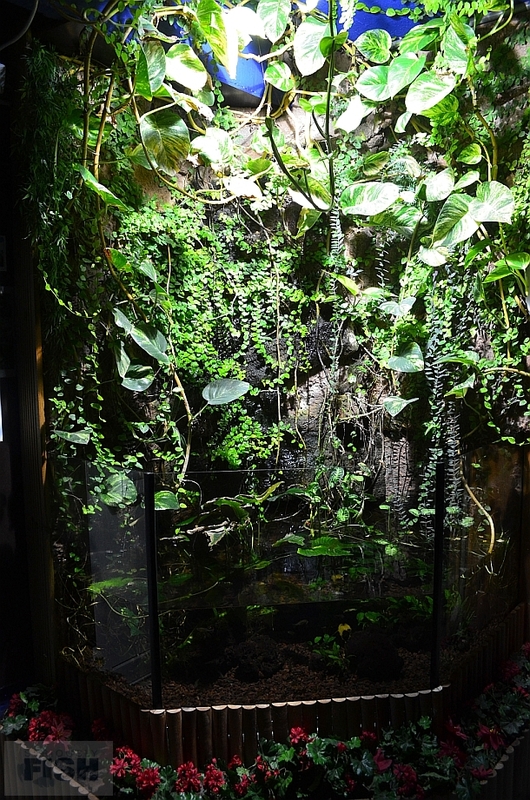 The aquarium offer audio tours in several languages which offer information about the various animals on display including the reasons why they are being maintained in the case of endangered species, while kids are able to undertake a series of activities on the way round. Some of these involve ticking off the species on display, or even drawing them, and it was the first time I’d heard young children talking excitedly about goodeids in a public aquarium, for example. Since the majority of such aquaria in the world tend to feature an identical series of displays (coral reef, clown fish, ray touch pool, shark tunnel, piranhas, Amazon display, rinse, repeat) this modest yet inspiring place is well worth a visit. It was brilliant to see a focus on freshwater rather than marine species given that the ongoing environmental crisis affecting their habitats around the planet continues to be largely ignored by conservation groups and mainstream media alike. The conservation of freshwater fishes and their habitats is set to establish itself among the most pressing environmental issues worldwide over the next few decades as freshwater resources become ever-more exploited. 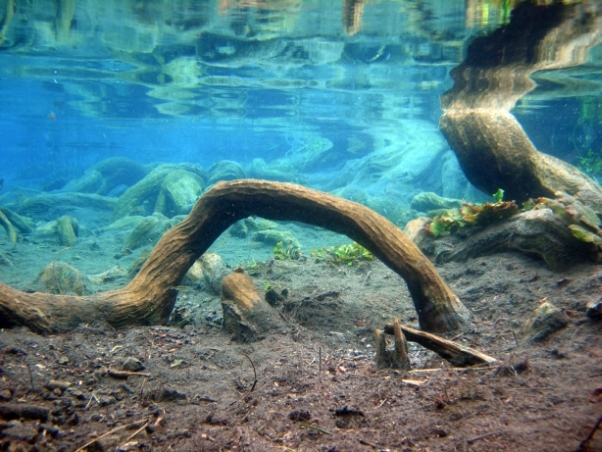 Continued deforestation, the construction of dams for hydroelectric projects or drinking water and extraction of groundwater are just three of the conspicuous, often irreversible, ways in which man has had a detrimental impact on freshwater ecosystems, but only rarely are we hobbyists made aware of the extent to which things have already declined. Hope does exist in the form of numerous international conservation groups, however, many of which are maintained by scientists or institutions, others by aquarists themselves, and in some cases a combination of both. 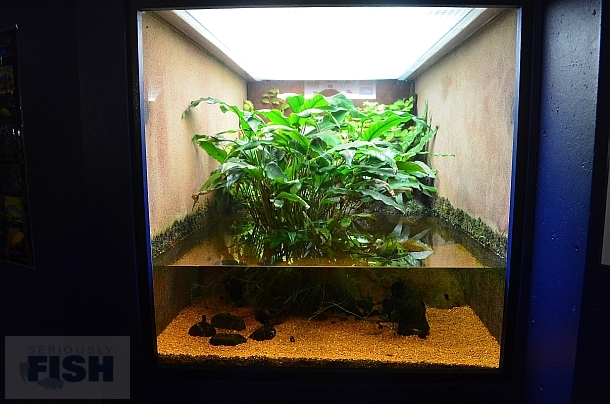 In order to raise awareness and hopefully encourage interest in this valuable work we’ll be running a new series of blogs and articles covering some of the great stuff already being done, and showing how the aquarium hobby can and does play a valuable role. 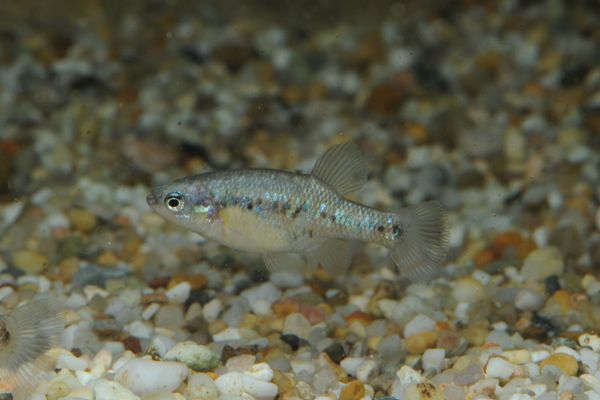 We begin with the Desert Fish Habitat Partnership (DFHP) which has the primary aim of bringing together ‘people and organisations with a common interest in voluntary conservation of desert fishes and their habitats’. Now the populist image of a desert is not one normally associated with aquatic life, so it may be surprising to learn that freshwaters of the arid southwestern United States are home to at least 179 non-salmonid fish species among which are 30 % of all threatened and endangered species in the country. The DFHP was formed in 2005 to help protect them, and seeks to address conservation issues over a vast area encompassing the Great Basin and Mohave deserts plus those portions of the Sonoran and Chihuahuan deserts that lie within the U.S. 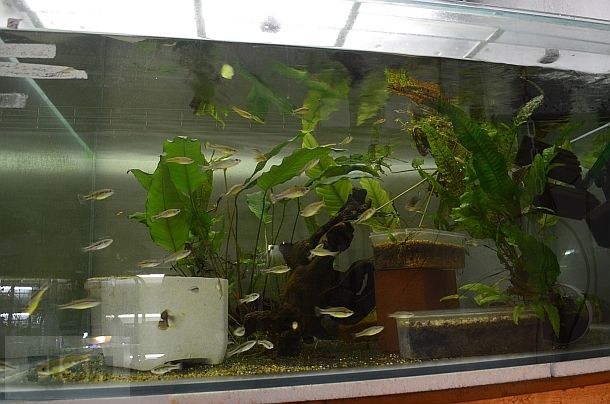 The majority of these fishes are largely unknown in the aquarium hobby although they include representatives of some familiar groups, including killifishes such as Lucania parva and various members of the genus Cyprinodon, the goodeids Crenichthys baileyi, C. nevadae and Empetrichthys latos plus a few species of livebearing Gambusia, with the families Cyprinidae and Catostomidae being particularly diverse. Habitat loss or alteration, and introduction of non-native aquatic species such as western mosquitofish, Gambusia affinis, and sailfin molly, Poecilia latipinna, has resulted in the decline of desert fishes throughout this region, and the DFHP has developed an ever-increasing network of state and tribal fish and wildlife agencies, federal resource agencies, research and private organisations, and engaged individuals with the collective goals of protection, restoration, and enhancement of desert fish habitats. The degree of cooperation over a wide geographic area is perhaps the single most impressive achievement of the group to date with similar attempts often failing elsewhere, and I speak from personal experience here, due to a combination of limited funding, inconsistent coordination, and more often than not problems with geographic and jurisdictional boundaries. In this respect the DFHP can perhaps be considered an excellent model upon which to base efforts in other countries, so check out their contact details at the end of this piece to find out more. But enough talk of legislation and what-not, let’s take a look at some of the fish species covered by the project and focus on some of their notable successes to date. 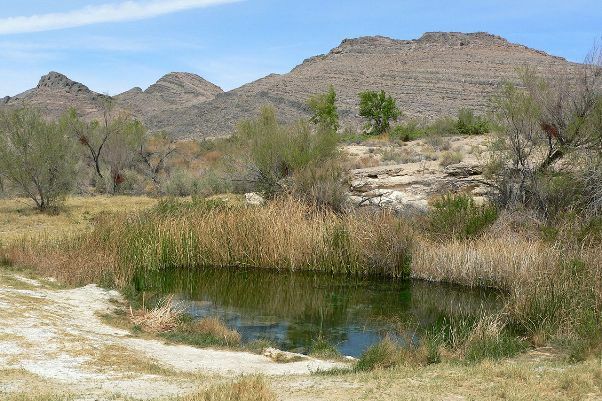 Ash Meadows National Wildlife reserve is the largest remaining series of oases in the Mojave Desert, in southern Nevada state, the major discharge point in the Death Valley Regional Aquifer and can be considered the birthplace of the desert fish conservation movement. 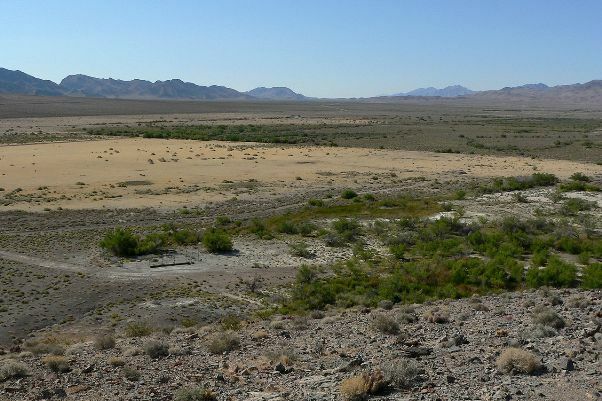 It’s home to 26+ endemic species of which at least 12 are critically-endangered, among them a number of fishes, and has been protected as the Ash Meadows National Wildlife Refuge since 1984. This project aimed to restore several miles of outflow from Fairbank and Soda springs at the northern end of the refuge. These had been drained and mined for peat in the 1950s and 1960s after which the area was leveled, tilled, and converted to agriculture with the springs diverted for irrigation. As a result the resident dace population disappeared and at one point was reduced to just two springs in the southern part of Ash Meadows. 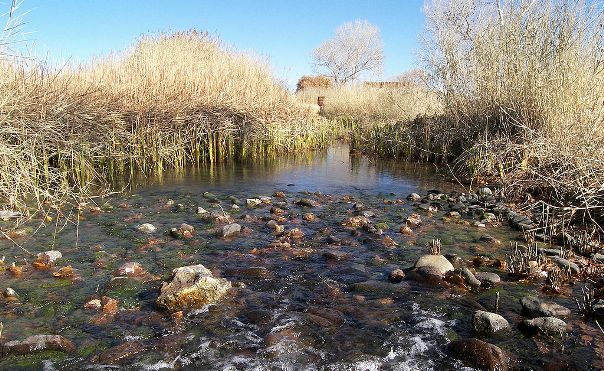 A plan was put together and the springs restored to follow their historic flow patterns via modification of roads, ditch and impoundment removal, construction of low-water crossings, and improvements in fish passage including culvert and fish barrier installation. 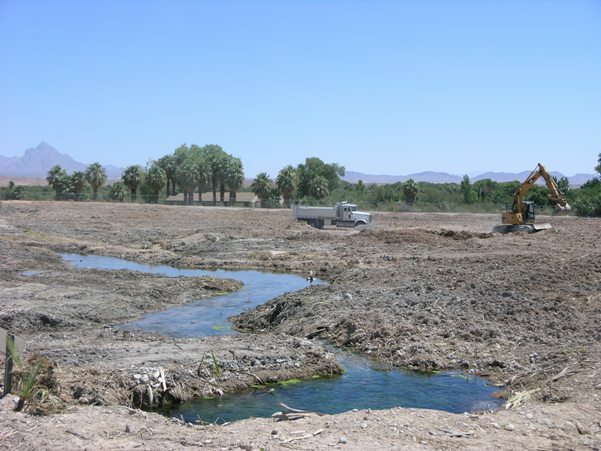 In early 2010 a group of volunteers collected 3,150 pupfish and 12,000 endemic snails from the degraded outflow of Fairbank spring and relocated them to the restored outflow. 2,710 non-native red swamp crayfish, Procambarus clarkii, were also removed and destroyed. 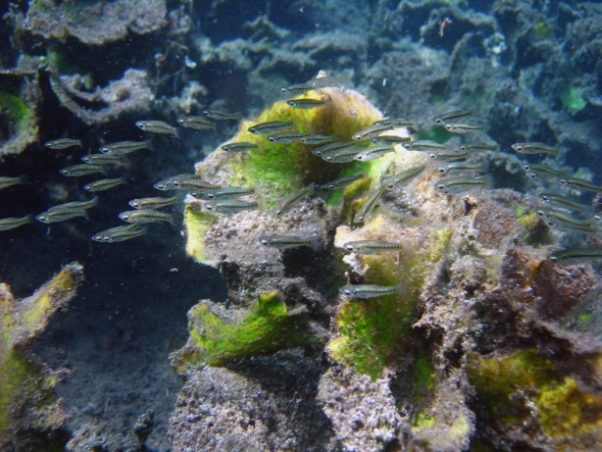 Dace were introduced into the upper part of the spring in April and August 2010 and appear to be successfully reestablishing in the system for the first time in 50 years, while restoration of native vegetation and removal of non-native animals continues. 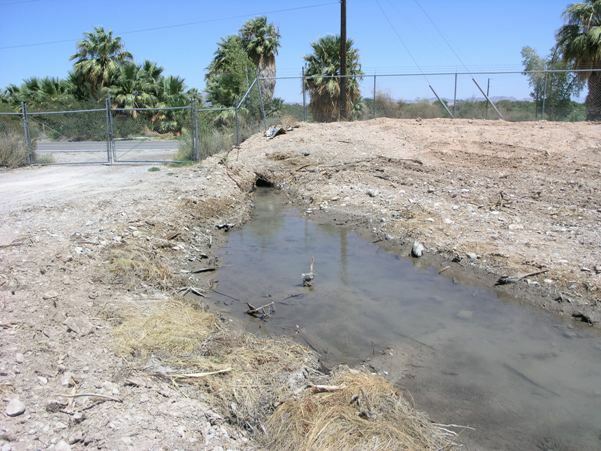 Unfortunately the management plan came too late to save the Ash Meadows poolfish, Empetrichthys merriami, a member of the Goodeidae family which has not been seen anywhere since 1948. Both of these species formerly occurred in a series of artesian springs in the Pecos River basin close to the towns of Balmorhea and Fort Stockton in the state of Texas, but the latter habitats dried out completely in the mid-1950s and the fish were wiped out. 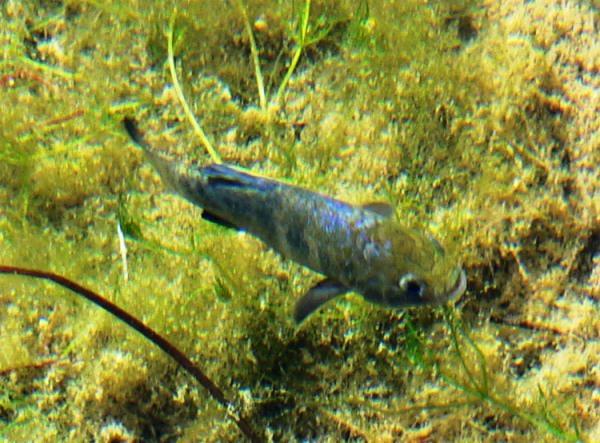 The pupfish is now found only in the springs around Balmorhea while the gambusia occurs both at Balmorhea and a handful of other localities. A refugium consisting of man-made canals and a large lake was constructed in Balmorhea State Park in 1975, and these remain in use today. Phantom Lakes Spring is one of those feeding this system with its headwater located a few kilometers away from the park, and its outflow has been in steady decline since the 1940s. The pool formed as the spring exits a cave system has been maintained by a pump plus a number of short-term ‘fixes’ since 2001. A project organized by the DFHP and actioned in 2011 stabilised the pool and a larger, more natural ciénega (spring-fed wetland system) was constructed. Apcar Spring is one of 25 thermal source springs for the Muddy (aka Moapa) River in the ‘warm springs’ area of Clark County, Nevada state and historically home to all four of these endangered species. 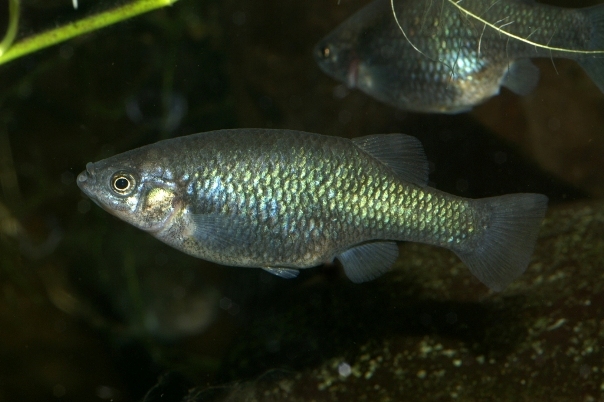 It was originally carpeted with aquatic vegetation but following invasion by non-native Gambusia, Poecilia and Tilapia had become seriously degraded by the mid-1990s. The upper Apcar was rehabilitated from 2007 onwards via removal of non-native species and habitat restoration. 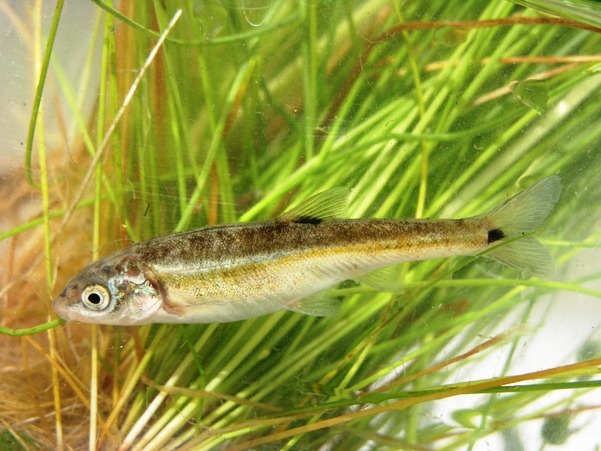 Moapa dace were reintroduced to the system and a stable population developed, but it was separated from additional habitat in lower sections of the system by an under-sized, raised culvert. In 2011 a DFHP team of volunteers installed a much larger box culvert which allowed the spring to flow freely once more and restored connectivity to an important section of the spring system. 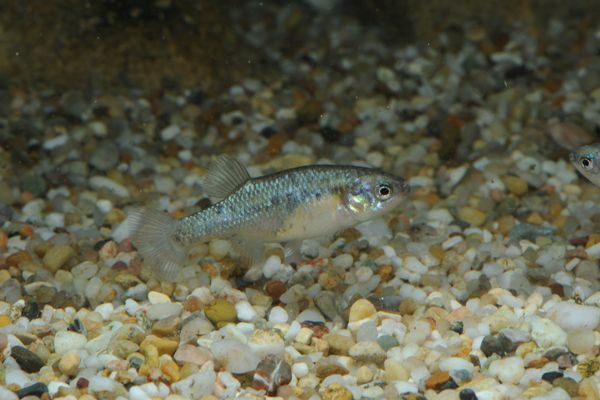 Work ongoing during the latter part of 2012 and into 2013 include projects to restore habitats for a host of species including Shoshone pupfish (Cyprinodon nevadensis shoshone), Big Spring spinedace (Lepidomeda mollispinis pratensis), Meadow Valley Wash speckled dace (Rhinichthys osculus ssp. ), Meadow Valley Wash desert sucker (Catostomus clarkii ssp. ), Conchos pupfish (Cyprinodon eximius), Chihuahuan shiner (Notropis chihuahua), Mexican stoneroller (Campostoma ornatum), Roundnose minnow (Dionda episcopa), Mexican tetra (Astyanax mexicanus), Bluehead sucker (Catostomus discobolus), Utah sucker (Catostomus ardens), Colorado cutthroat (Oncorhyncus clarkii pleuriticus), speckled dace (Rhinichthys osculus), Longnose dace (Rhinichthys cataractae), Redside shiner (Richardsonius balteatus) and many more. The conservation of freshwater fishes is basically impossible without effective habitat protection or in extreme cases, restoration, and this is a priority for the DFHP that groups in some other countries would do well to take inspiration from. As a result of this physical aspect they’re always looking for volunteers and can be contacted using the details at the bottom of this page, so if you live in or close to the area covered by the group simply get in touch! 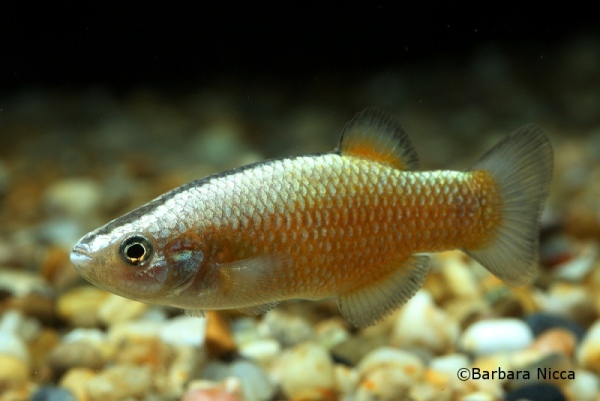 Most of the species mentioned here are not available in the aquarium hobby for obvious reasons, but pupfishes, Cyprinodon spp., and goodeids, the group within which Crenichthys spp. are included, are endangered across their ranges. Some have already disappeared in the wild and kept alive only via breeding programmes in zoos and private aquaria. 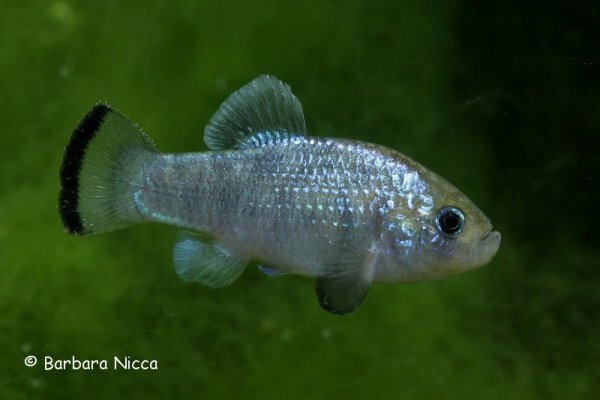 For example the Potosi pupfish, C. alvarezi, is now considered extinct in nature but is being maintained by a number of aquarists around the world, and the same is true of the goodeid Allodontichthys polylepis among others. The former was originally native to a handful of localities in San Luis Potosi State, Mexico but these are now desiccated due to water extraction and it hasn’t been recorded there for a number of years while the latter hasn’t been collected in the wild since 2000 despite its former habitats appearing in an acceptable state. 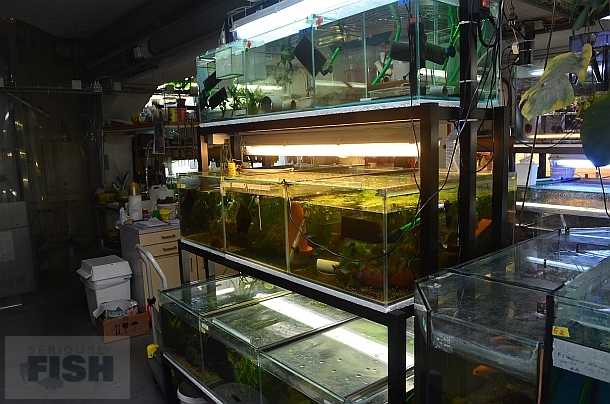 The reality is, and this is no exaggeration, that without the efforts of aquarists these species would already be gone forever. 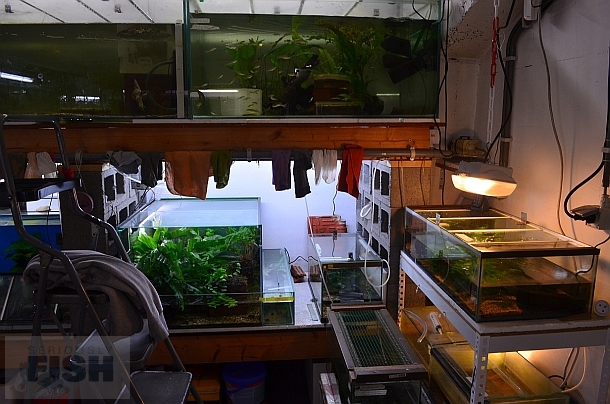 If you want to get involved in such captive-breeding projects the best thing to do is contact your local aquarium club and take it from there, but please read as much as you can on the subject and be aware of the responsibility involved before doing so.